Mother's Day is coming up on May 13. 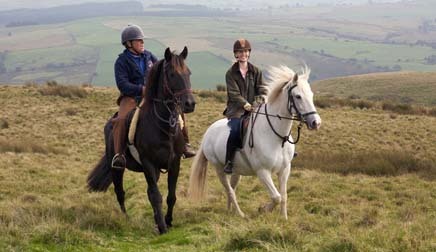 Horse riding with your mom or daughter can be a great bonding experience, but choosing the right vacation is important. You want to fit your family's style and yours. Here are some special Mother's Day riding vacations. 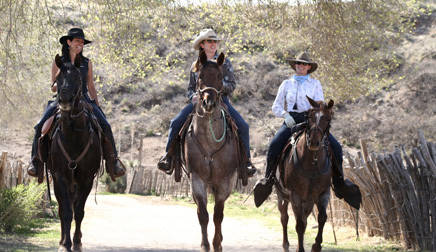 This working ranch vacation by the Gila National Forest offers Cattle Roundups, and Regular Ranch Weeks to improve riding skills. Enjoy trying barrel racing, team penning, branding and learning about life on a true New Mexico Ranch. 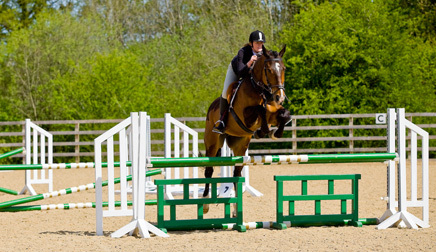 Ride strong Welsh Cobs through the rural countryside, beautiful Cambrian Mountains and to a local pub with a family owned and run British Horse Society approved riding center. Special Welsh Cob Stud Farm visit and Carreg Cennen Castle. 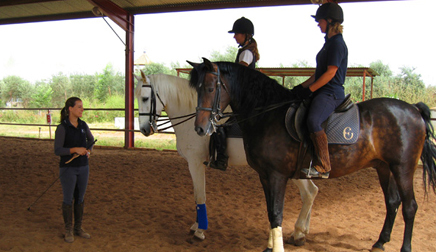 A longtime British Horse Society approved center in the heart of Andalucia that specializes in dressage training, riding on the beach and the Seville countryside, and special trips to see performances of the dancing horses at the Royal Andalusian School of Equestrian Art in Jerez. Combine horseback riding to ancient villages and through the exotic fairy chimneys of Cappadocia with a city break to see the top sights of bustling Istanbul. 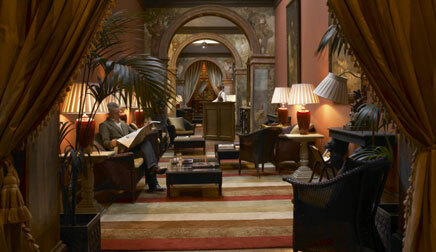 Camp or stay in boutique hotels or pensions. 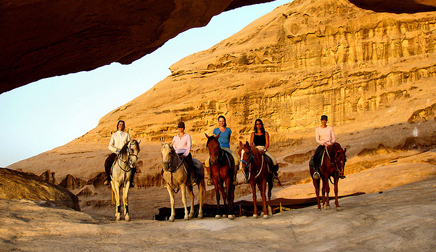 Combine horse riding in Jordan's Wadi Rum Desert with magical Petra and a float in the Dead Sea with this eco-friendly outfitter. Learn about the Bedouins and Jordanian culture and food. 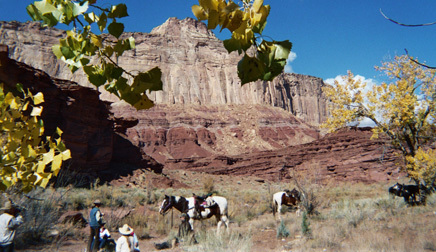 Horse riding vacations in Capitol Reef National Park and San Rafael Swell with an awesome backcountry outfitter in Utah's Canyonlands. 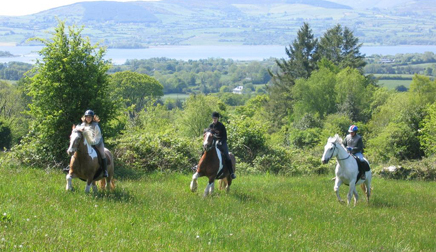 Stay at one of Ireland’s great castles still inhabited by its eccentric founding family and enjoy a dream equestrian vacation: Cross country course, indoor jumping arena, gentle countryside hacks, riding lessons for beginners and advanced riders, fine cuisine, the spa and fishing. Check out more great escapes and Travel Deals. Find group friendly trips with discounted rates for group organizers. 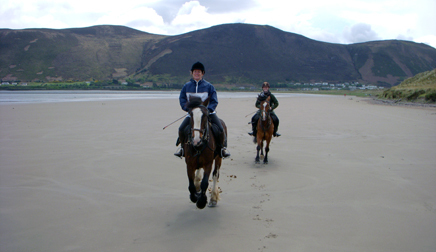 When you book a trip from EquitrekkingTravel.com, get a free Equitrekking DVD with two Emmy-winning Equitrekking episodes and a video preview of equestrian vacations, fun branded t-shirt, future trip discounts and other perks!